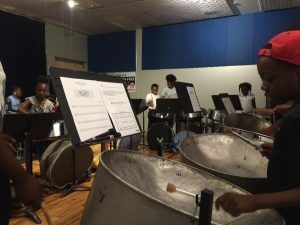 Through the generous support of the Department of Cultural Affairs, Materials For The Arts (MFTA), New York Council on the Arts, City Council Member Darlene Mealy and our other funders, we are able to provide Steel Pan Classes for the community. Our students focus on the history of the steelpan, steelpan playing and performance technique and musical theory. They are also exposed to different musical genres and are encouraged to be independent and develop their own musical voices. Students are given opportunities to build their confidence, to understand that their work has value and that commitment and hard work is needed in order to be a successful musician and by extension a successful person in our society. Presently, we have a steelpan ensemble but we also offer one on one beginners classes in Brooklyn, New York. Contact us for more information. 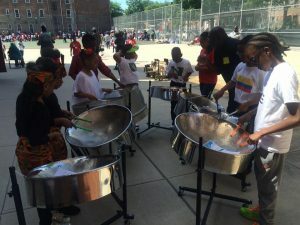 Our Steel Pan Ensemble consists of approximately twenty two youth players who have graduated from our beginners program. 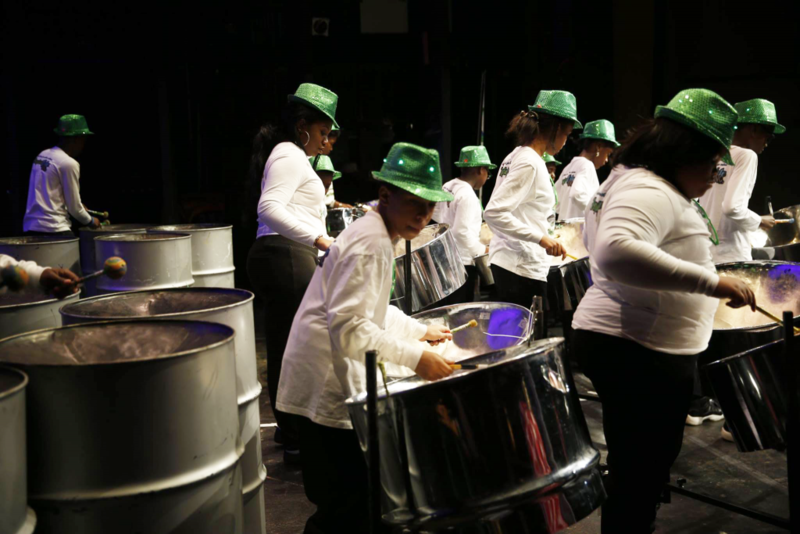 The steel pan ensemble performs any style of music at various events and Members of our ensemble also perform at events. In order to be a part of the ensemble, students must first be vetted through our beginners program to ensure that they can understand and meet the requirements and level of commitment involved in being a part of our ensemble. 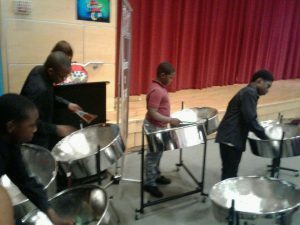 In the Spring of 2017, TropicalFete extends its steelpan program to after school programs at P.S.135 Sheldon A. Brookner and I.S.392 The School for The Gifted & Talented. What Ages Can Take The Beginners Classes? How Do I Join The Steel Pan Ensemble? What If I Can Already Play The SteelPan? Can TropicalFete Extend Its Steel Pan Program To My School? Do I Need Pan Sticks?